Unlike my previous posts, today’s entry focuses on the war as a whole rather than on a specific army. Tobacco was ubiquitous at the front and ever-present in prewar society. The war ushered in several changes to European smoking culture: Pipes began to fall out of fashion as cigarettes became more popular, and women smoked more in the postwar era as wartime social changes led to questioning of nineteenth-century gender norms. This is most famously embodied in the the “Flapper” archetype. 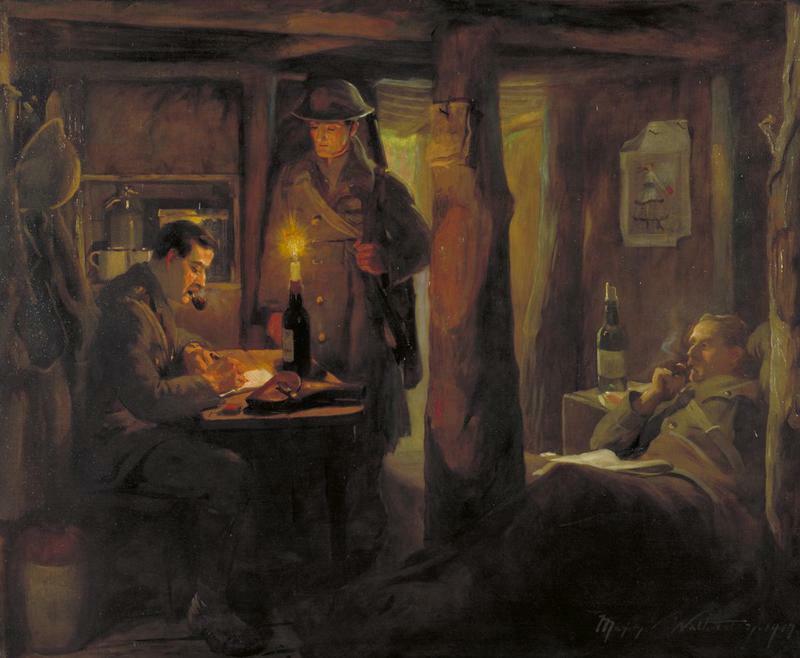 At the war’s outbreak, pipe smoking was the most common form of tobacco smoking in the militaries of Europe. Soldiers usually received packets of loose tobacco and matches with their rations. Pipe and cigar smoking were also associated with nineteenth-century ideas about masculinity. Cigarettes, although available, were not nearly as popular as pipes and cigars during this period. The war ushered in nothing short of a revolution in American and European tobacco cultures. It was also a period where modern cigarette advertising began. 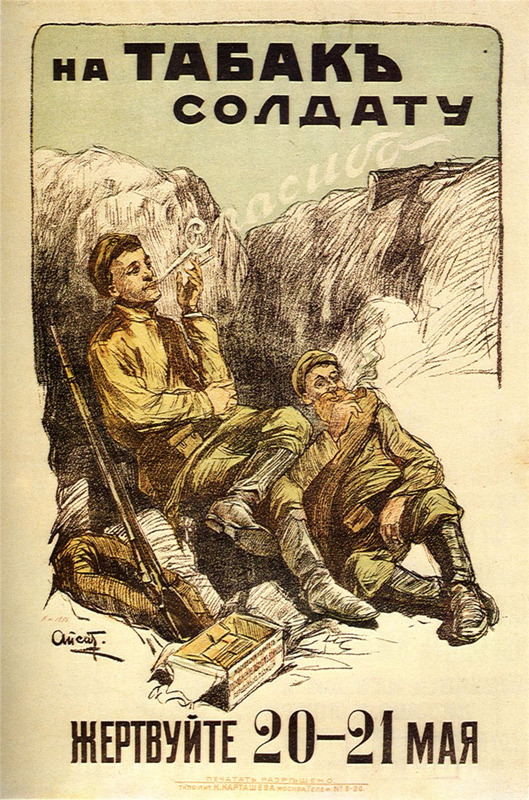 The Tsarist regime asked civilians to donate tobacco for the war effort. The Russian military issued packets of mahorka, a harsh, cheap tobacco that remained in use throughout the twentieth century. Soldiers would either smoke mahorka in pipes or, later in the war, in hand-rolled cigarettes that remained ubiquitous in the Russian military during World War II. The low-quality of mahorka meant that in the post-Stalinist era, smoking it was a sign that one had spent time in the gulag, where it was the only tobacco available. This is a key trait of the main character of Vasily Grossman‘s Everything Flows. 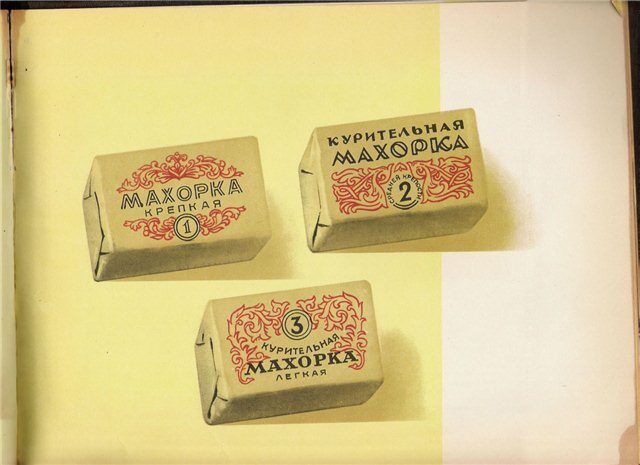 3 types of mahorka, a low-quality tobacco issued to Russian soldiers. German soldiers often purchased elaborate regimental pipes in the pre-war era. 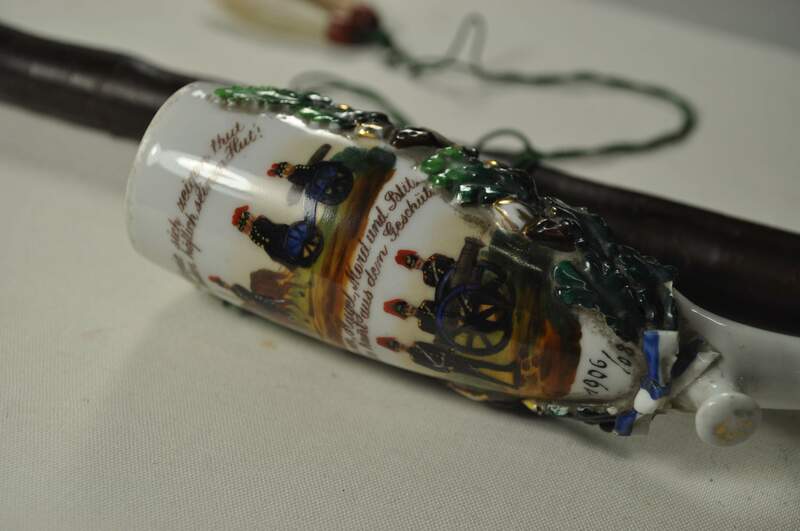 These pipes were decorated with regimental insignia and are most often seen in early-war photographs, as they would be quite fragile in trench conditions. German soldiers often purchased elaborate pipes designed for their units. This example is from Karl Schaller of the 6th Field Artillery Regiment. Detail of Karl Schaller’s pipe. Both Siegfried Sassoon and Ernst Jünger wrote about their experiences as officers on the Somme. 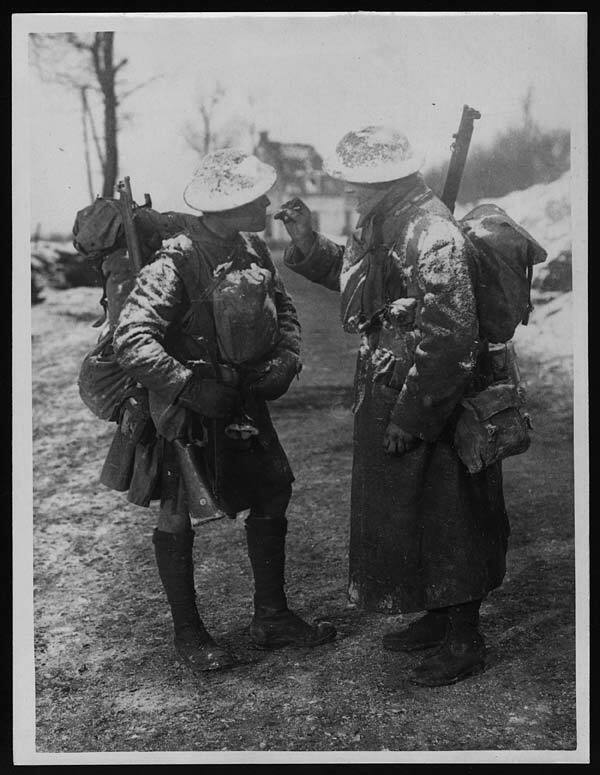 Although their accounts of war are quite different, they both describe themselves smoking their pipes in the trenches. Sometimes, the pipe is mentioned in passages discussing leadership. Pipe smoking was by far the most common type of tobacco smoking in the prewar era and remained popular. This painting emphasizes the association of pipe smoking with the officer class. The French poilu was often depicted with a pipe clenched between his teeth. As in the Russian army, French soldiers were issued with loose tobacco that was intended for pipe smoking. However, rolling papers were also issued for those who sought a more convenient alternative. These are the personal effects of French soldier Camille Mortier. He was killed on August 21st, 1917. 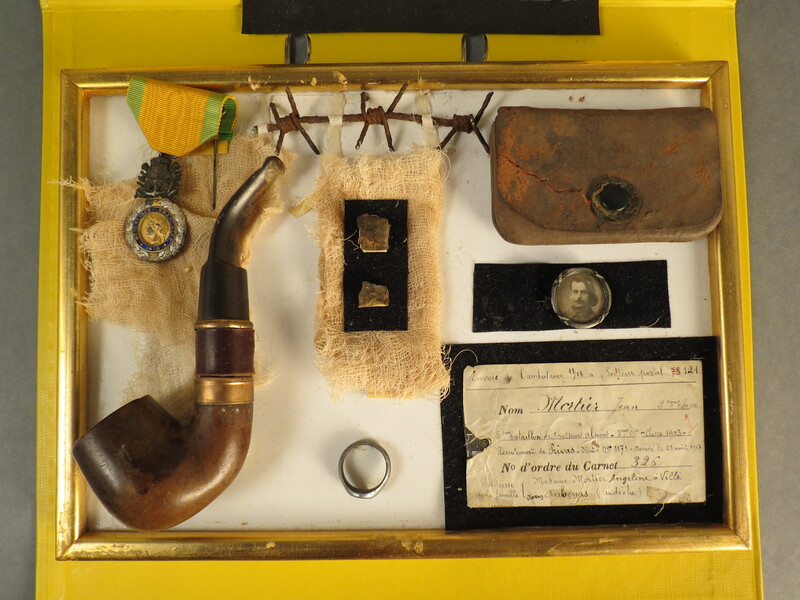 The shadow box contains Mortier’s pipe, his wedding ring, and pieces of shrapnel that may have killed him. As the war ground on, cigarette smoking increased in popularity. Although cigarette advertising exploded in this era, other, more practical concerns likely led to the eclipse of pipe smoking during this period. Pre-packaged cigarettes are much more convenient than a pipe in trench conditions. A pipe smoker has to keep his loose tobacco dry, which muddy trench conditions in Flanders would have made difficult. Cigarette smoking also takes much less time than a pipe making them more ideal for trench conditions when a soldier may have had to move at a moment’s notice. Pipes also need to be constantly relit throughout the smoking process, which is both inconvenient and potentially dangerous as the light from this repeated activity would attract attention at night. Lighters were a common form of trench art. 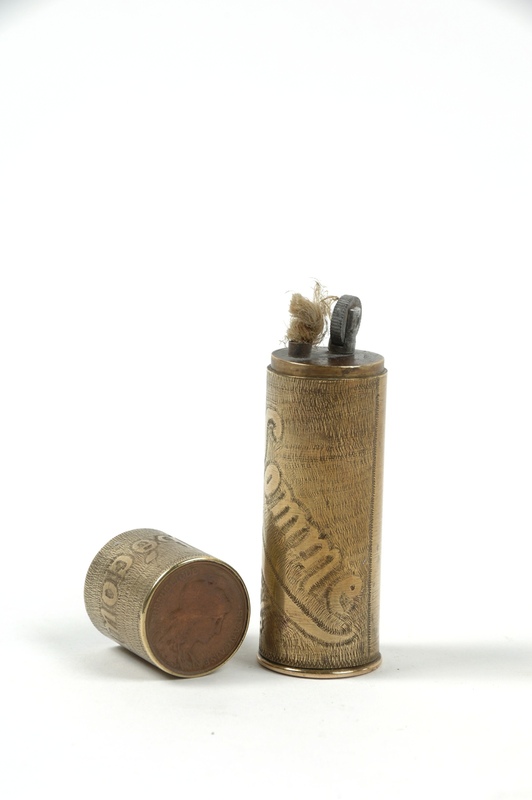 This lighter, emgraved with “Somme 1916,” is made from a shell casing. Cigarettes were a staple of army life. They were used as currency in the British army, with two cigarettes being the price of a haircut in the trenches. They were sent to the front in care packages and widely available at shops behind the lines. Soldiers flocked to cigarettes due to their convenience and because British army tobacco (issued for pipes) was of poor quality. British soldiers were issued with 2oz of this tobacco per day. Although members of the British Army had begun smoking cigarettes as early as the Crimean War, World War I was the catalyst for a massive shift in tobacco use. One only has to look at prewar vs postwar art. Cigarettes became ubiquitous after the war and the pipe steadily faded in popular culture until it was virtually absent after World War II. Most of the World War I combatants mobilized women to work in factories for the war effort. This introduction of women into the workforce, which also coincided with the suffrage movement, helped break down nineteenth-century gender norms which required women to remain at home. This cultural shift also manifested itself in the 1920s via the so-called “flapper,” also known as the “New Woman” in the Weimar Republic. These women scandalized conservative elements of interwar period society by dressing provocatively, cutting their hair, being sexually liberated, and smoking. Before, smoking had been considered an “unladylike” habit. Although women had been steadily gaining rights in Europe and America before World War I, the war’s mobilization of women into the workforce and the destruction of large portions of the male populations in countries like France, Britain, and Germany gave women more of a say in their personal lives than they had in the prewar era. Tobacco companies also began targeting women in advertisements during this period. The increase of smoking women in the public eye during this period is but one of many manifestations of the changed world after 1918. 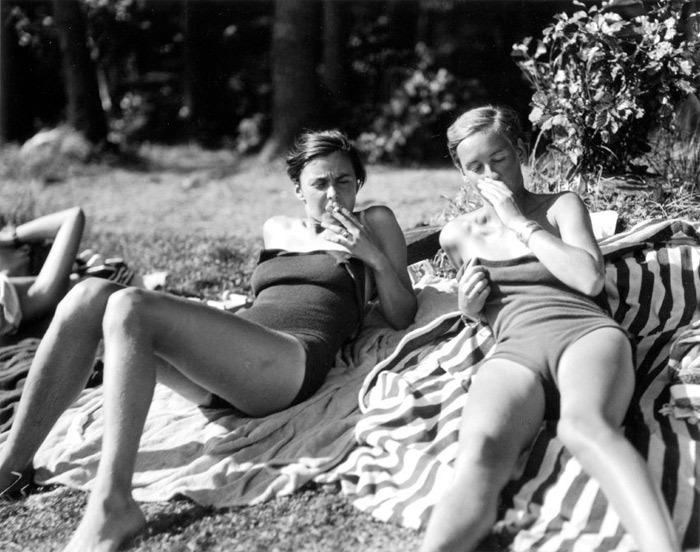 A photograph of two “New Women” of 1920s Germany, by Marianne Breslauer. Nick Johnson has part 5 of his series on Alcohol and Drug use during World War I the Points blog. Johnson focuses on the use of tobacco by various militaries during the war. The Great War was the last war before the popularity of cigarettes took off. Therefore, each of the militaries used very different methods to smoke tobacco.